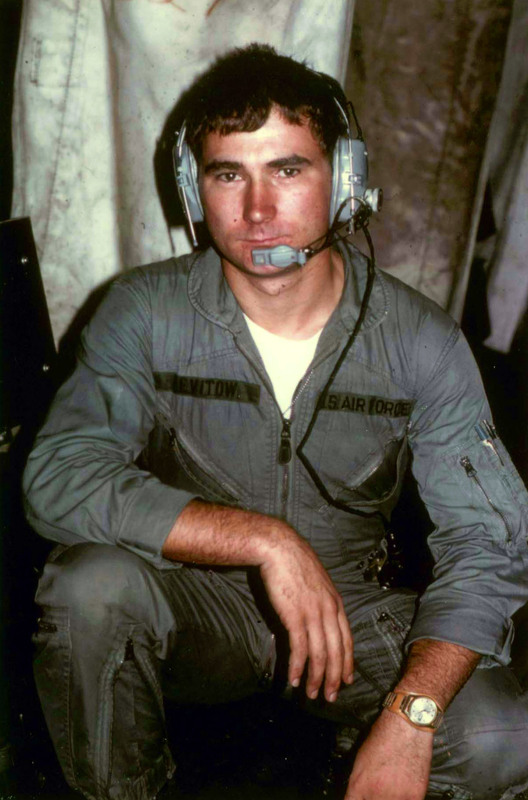 On February 24, 1969, Airman First Class John L. Levitow was assigned duty as a loadmaster aboard an AC-47 “Spooky” gunship flying a night mission in support of Long Binh Army Post in South Vietnam when his aircraft was struck by a hostile mortar round. 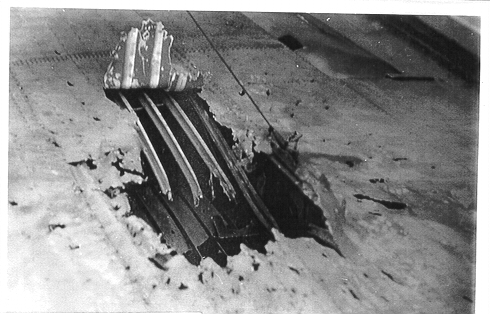 The resulting explosion ripped a hole 3 feet, 1/4 inches in diameter through the wing along with more than 3,500 holes in the fuselage. 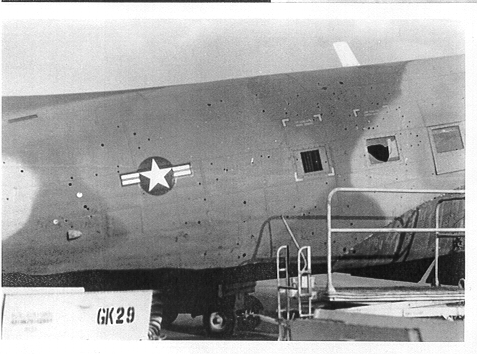 All occupants in the cargo compartment were wounded and slammed against the floor and fuselage. The explosion ripped an activated flare from the grasp of a crewmember who had been launching flares to provide illumination for Army ground troops engaged in combat. 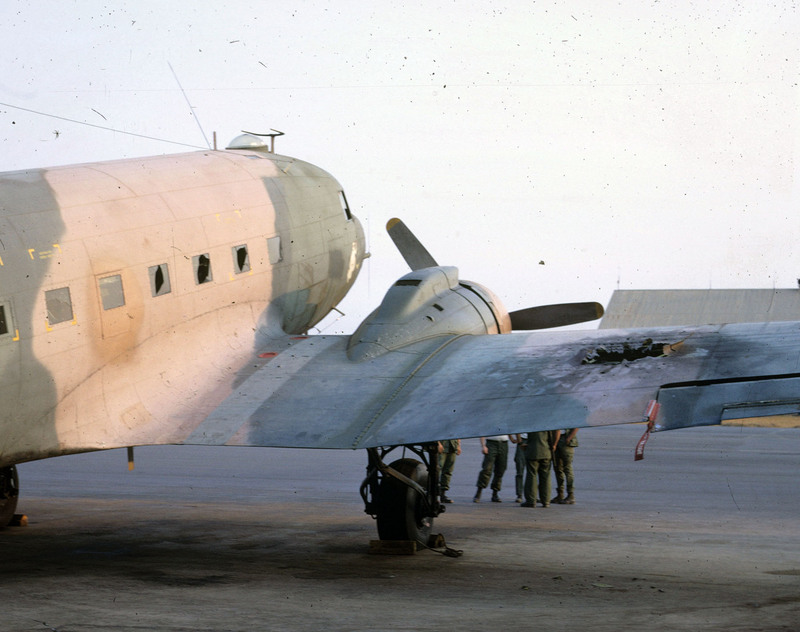 Airman Levitow, though stunned by the concussion of the blast and suffering over 40 fragment wounds in his back and legs, staggered to his feet and turned to assist the man nearest to him who had been knocked down and bleeding heavily. As he was moving his wounded comrade forward and away from the opened cargo compartment door, he saw the smoking flare ahead of him in the aisle. Realizing the danger involved and completely disregarding his own wounds, Airman Levitow started toward the burning flare. The aircraft was partially out of control and the flare was rolling wildly from side to side. Airmen Levitow struggled forward despite the loss of blood from his many wounds and the partial loss of feeling in his right leg. Unable to grasp the rolling flare with his hands, he threw himself bodily upon the burning flare. Hugging the deadly device to his body, he dragged himself back to the rear of the aircraft and hurled the flare through the open cargo door. 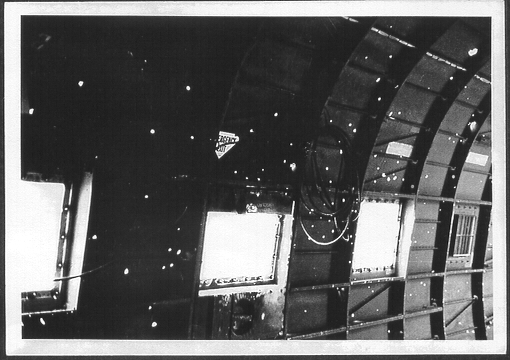 At that instant the flare separated and ignited in the air but clear of the aircraft. Airman Levitow, by his selfless actions, saved the aircraft and its entire crew from certain death. 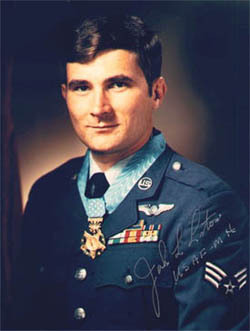 For his heroism he received the Medal of Honor from President Richard M. Nixon on May 14, 1970. He is the lowest ranking Air Force member ever to receive the honor. John Levitow was a regular visitor to Dover AFB and to the museum. On several occasions he was guest speaker at the graduation ceremonies for the Airman Leadership School. He was the Airlift-Tanker Association’s “Hall of Fame” inductee for 1998 and a C-17 Globemaster III was named for him on January 23, 1998, “The Spirit of John L. Levitow.” He passed away at his home in Connecticut on November 8, 2000. Sources: USAF Southeast Asia Monograph Series, Vol. VIL Mono. 9; Air Force News Service; Airlift/Tanker Assoc. 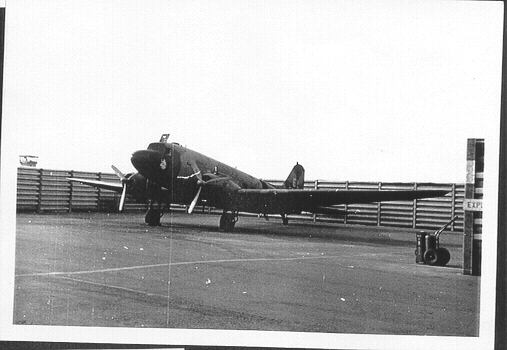 Below are images of the AC-47 “Spooky” John Levitow was in. 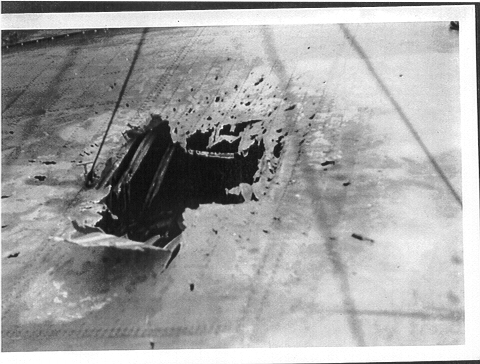 The plane was hit by over 3,500 shrapnel holes, one of them 3 feet, 1/4 inches in diameter. Never forget what all these brave men do for us and our country we all live. 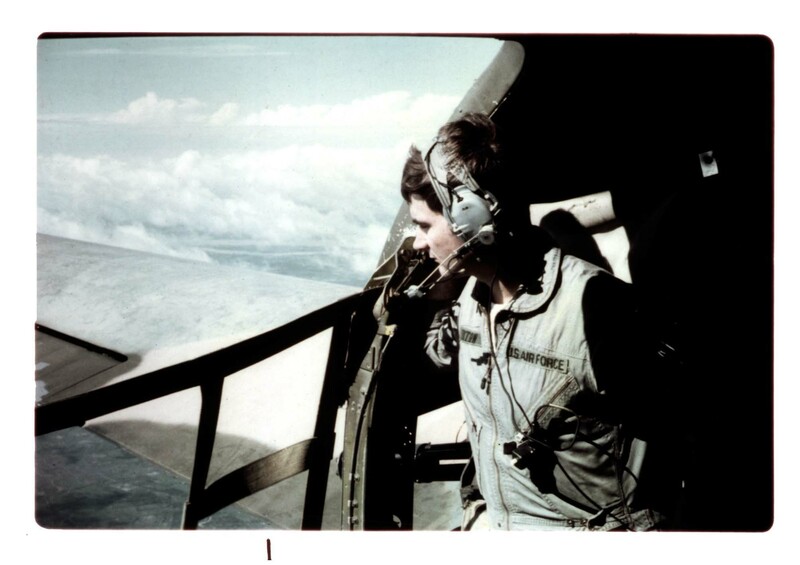 My father was over there in Vietnam also flying a AC-119 Shadow. They took the call. God Bless them all and thank you for your service to our great country. Jack, you should be proud of your grandfather. It is not only the Army, Navy, Coast Guard and Marines who perform heroically, but also the men and women of the U.S. Air Force. 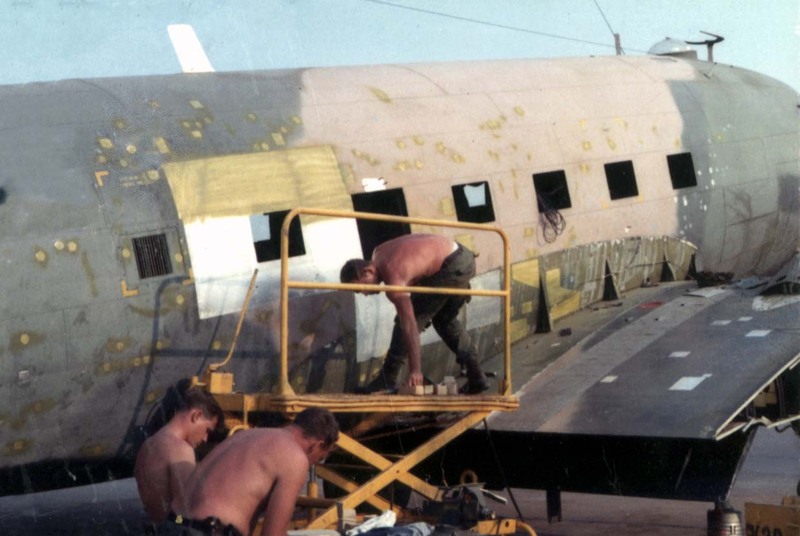 Those of us who served on the ground always knew who had our backs from the air. God bless.